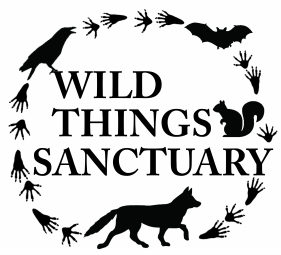 Can Wild Things Sanctuary give a talk to my group? 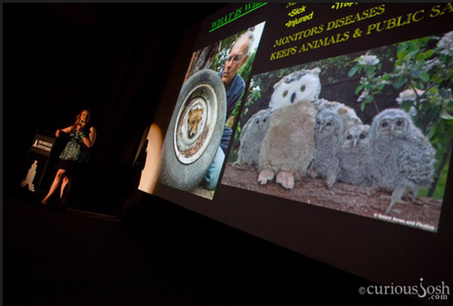 As the NY Department of Environmental Conservation does not allow visitors to Wild Things Sanctuary, but we enjoy coming to you and give talks to groups of all ages and sizes. When I talk to groups I do not bring live animals. Besides the insurance, permits, etc...I feel like this doesn't always send the right message out to people—wild animals are not pets and should not be perched on your arm! In the case of bats, New York state does not allow them to be education animals. I usually present a fun slide show with lots of pictures, videos and stories that covers ideas like why do wildlife rehabilltation, troubles that animals get into, how you can help, etc. 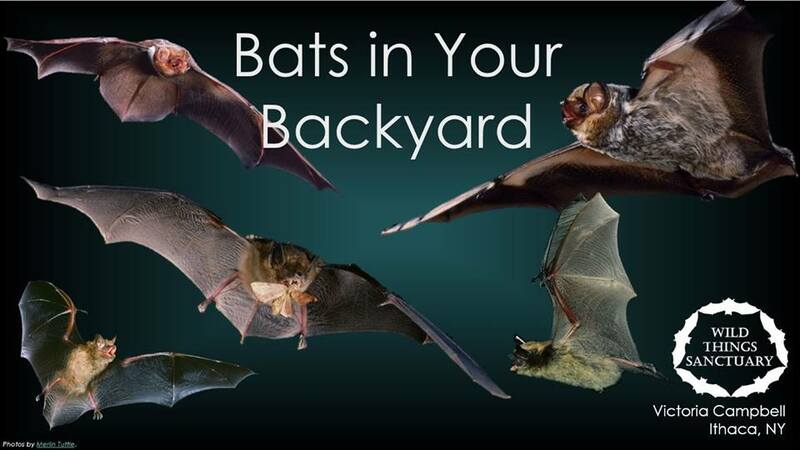 Bats in Your Backyard, this introduces you to native bat species, why they are important, what you can do to help them, and some of the bat stories at WTS. Bats: Your Garden Neighbors, this introduces you to native bat species, why they are important, what you can do to help them, and some of the bat stories at WTS. There is also a section included on how bats help gardens. Because Wild Things is a non-profit organization that has many wild mouths to feed, plus time and travel expense go into preparing each presentation, I suggest a donation for a talk. Usually presentations run a bit longer than the time scheduled as there always seem to be lots of questions and stories to share!